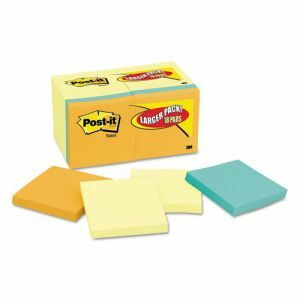 Post-It Notes have been easy, versatile means of communication for decades. Their small size makes it easy to have some handy, and when they are it allows you to put down your thoughts instantly before they leave your head. Add in the ability to position them anywhere and the bright colors and these thoughts can be transmitted to yourself or anybody who needs to see them. They're sort of a primitive, short-range prototype of Twitter when you think about it. 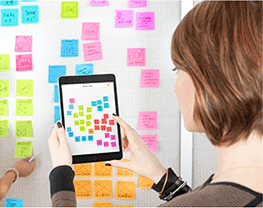 The Post-It Plus App does more than capture pictures of Post-Its. Any camera will do that, but any camera wouldn't be able to identify what parts of the picture are 3x3 Post-Its, much less realize that the text on them is what's important. The free app does this. Take a wall following a productive, albeit slightly scatterbrained, brainstorming session that might include some actionable items. Clean, enhanced images of all of the Post-Its, which can then be manipulated and grouped. These can be shared and exported to other formats, allowing access to everybody that needs it. This app is currently available for the iPad and iPhone, and Android support is expected in a couple months.